The first time I went winter camping, I wore summer hiking boots with my snowshoes—my toes froze during the day, then the boots froze overnight in the tent. I had a lightweight down jacket that I foolishly wore while digging a snow cave; this error lead both me and the jacket to be soaking wet and far from warm by the evening. As I shivered through the night, waiting impatiently for myself and my winter camping gear to thaw once the sun broke over the mountains, all I could think was that maybe winter camping wasn’t for me. But I wanted it to be. 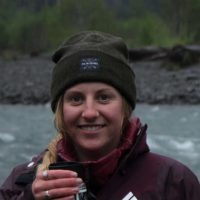 I longed to be able to head into the mountains or woods and spend nights surrounded by wilderness, even if there was snow on the ground and the mercury lingered below freezing. 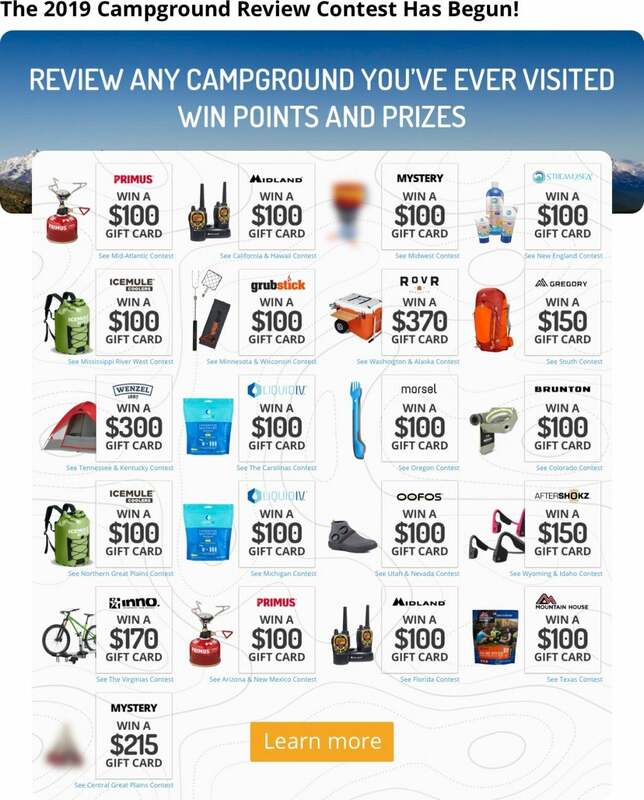 After a few more attempts, I learned that sturdy, reliable winter camping gear and a bit of know-how go a long way when it comes to winter camping. Suddenly, with a big, dry puffy jacket and winter boots in tow, winter camping went from miserable to magical. Don’t let the freezing temps or snow stop you from getting out there. 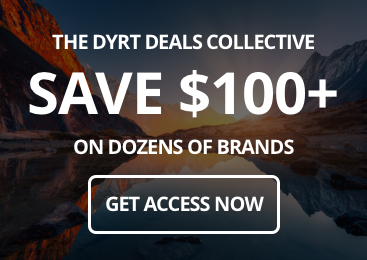 Having the right gear stash can make all the difference for exploring the outdoors in the colder months of the year. 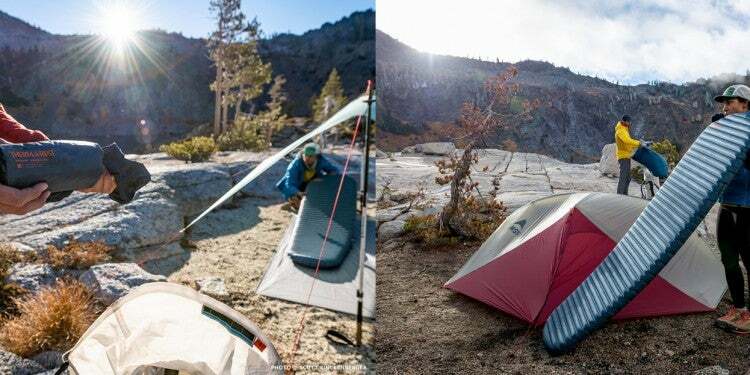 Whether you’re car camping, snowshoeing or skiing to camp, or parking your trailer in a winter wonderland, these gear items will keep you toasty and dry. 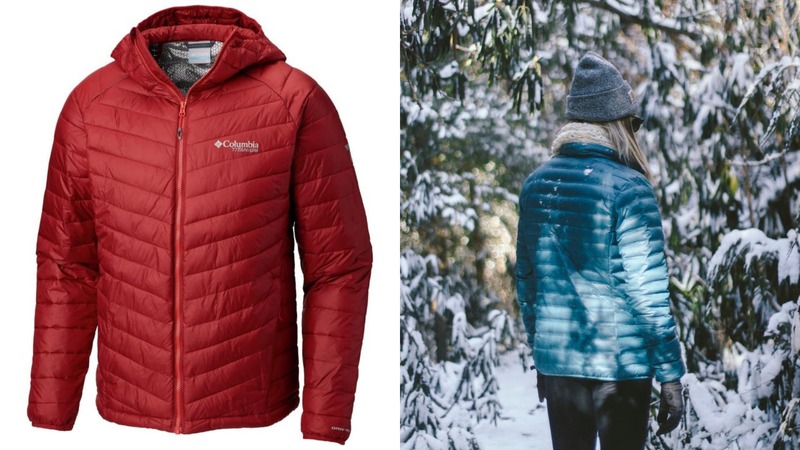 Right: Image from The Dyrt camper Hannah V.
A staple gear item for any cool-weather or mountain adventure, a good puffy jacket—whether down or synthetic—makes a world of a difference when it comes to staying warm. Columbia’s Snow Country jacket pairs synthetic down insulation with 3D thermal reflective technology to keep you cozy. And while a good puffy coat is often hard to find for a reasonable price, the Snow Country strikes a happy balance between price and performance. 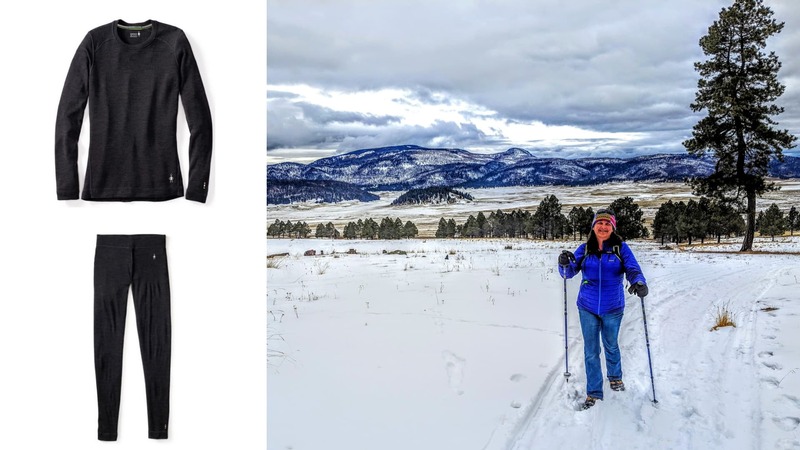 Right: Image from The Dyrt camper Shari G.
A good base layer is another important part of your winter camping gear stash. And when it comes to base layers for wicking and warmth, merino wool is tough to beat. Smartwool’s Merino 250 Base Layer is thick and warm, perfect for cold nights in a sleeping bag or chilly days spent on winter hikes or ski tours. As a bonus, the quality wool that makes up these base layers won’t hold camping stench like synthetic materials, so you only need one pair! 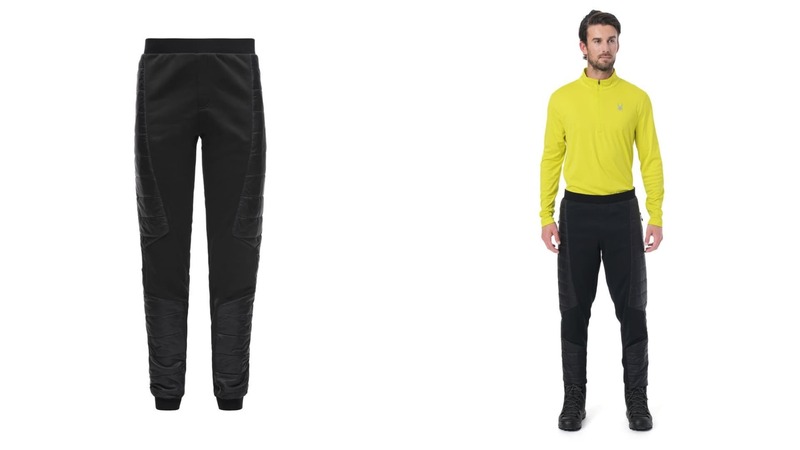 Just short of donning a pair of puffy pants, the Spyder Glissade pant—a combo of synthetic insulation and fleece—will keep you not just warm, but utterly cozy while hanging out at camp. Toss these on over your base layer after your winter ventures are done for the day, and you’ll avoid the feeling of frozen thighs come bedtime. Everyone can agree: when winter camping, you want toasty toes, even though you have to hop out of your sleeping bag to make your coffee in the morning. 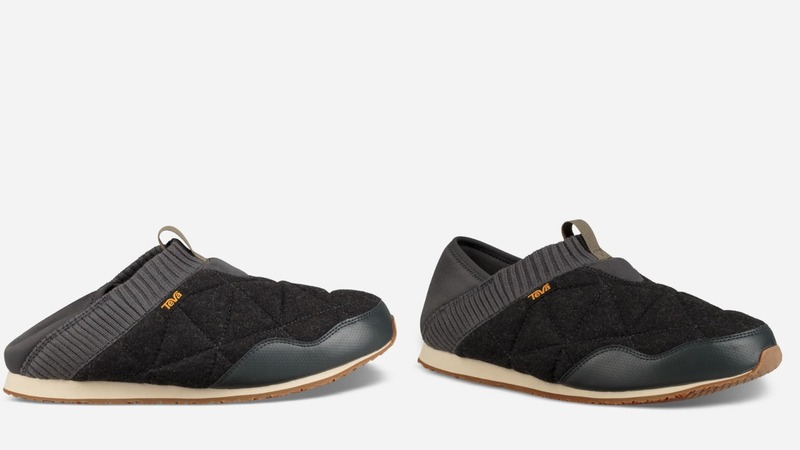 The Teva Ember Mocs have an insulated upper and a cushy bottom for ideal warmth and a solid rubber sole and water-resistant wool on top, making sure you stay comfortable at the campsite. 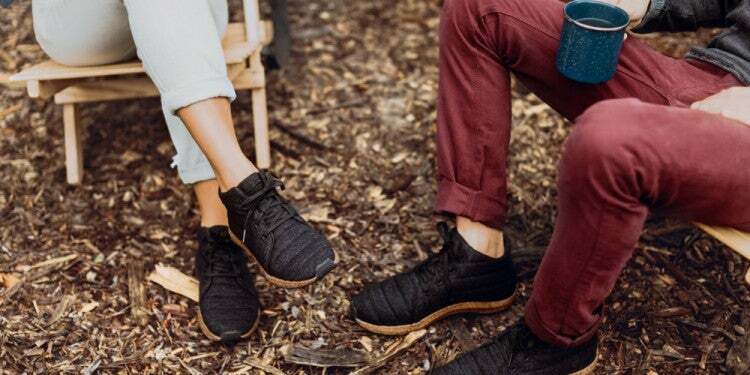 After a long day of wearing hiking shoes or ski boots, your feet will thank you for having these ready. 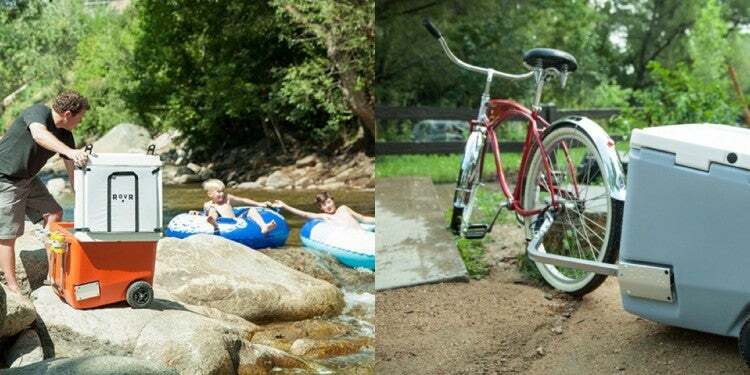 Just like cold toes at the campsite, cold toes while you’re out on winter adventures won’t fly, either. The insulated Vasque Coldspark Ultradry boots do the most to help keep you moving in colder weather. Fleece lining on the inside of the boot provides warmth while a Gore-Tex waterproof membrane keeps your toes from getting wet and eventually frozen. Plus, they’ve got great traction on the sole that’s specially designed to grip on icy surfaces, so you’re set for winter hiking. 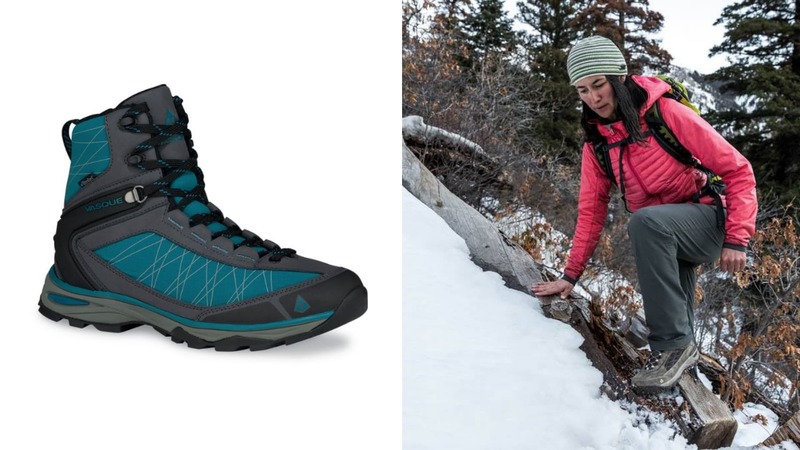 When the trails are at their slickest in winter, a little extra traction on your boots can go a long way. 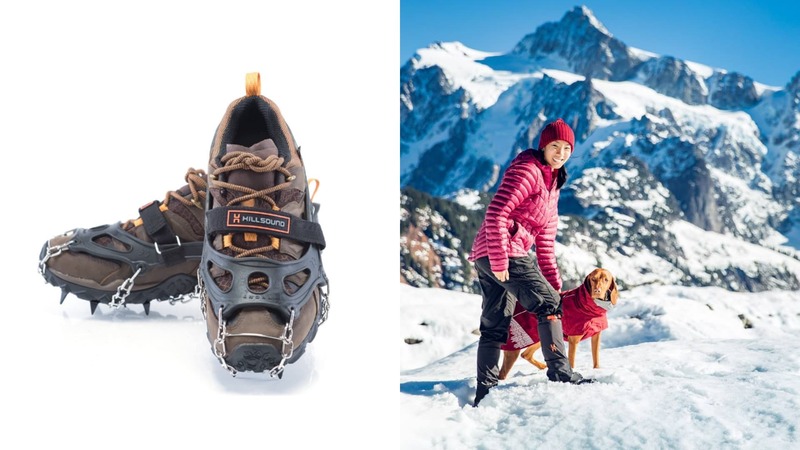 These Hillsound trail crampons slip over any hiking boot or running shoe and help you gain purchase on icy and snowy terrain, all without being as cumbersome as snowshoes. Without a good sleeping bag to keep you warm, winter camping can be pretty brutal. Not only is it important for a bag to have good loft, but it should also be able to fend off moisture from snow and condensation. 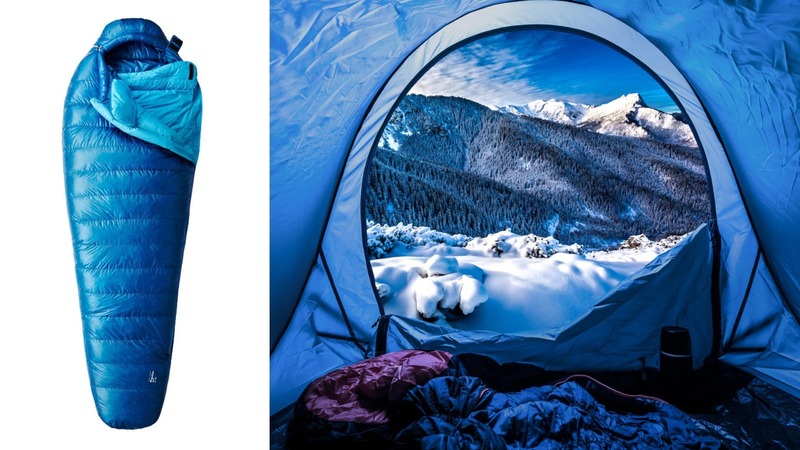 Mountain Hardware’s Phantom Torch sleeping bag excels at both of those, all while packing in light, so you can take this along for backpacking trips in cold weather. 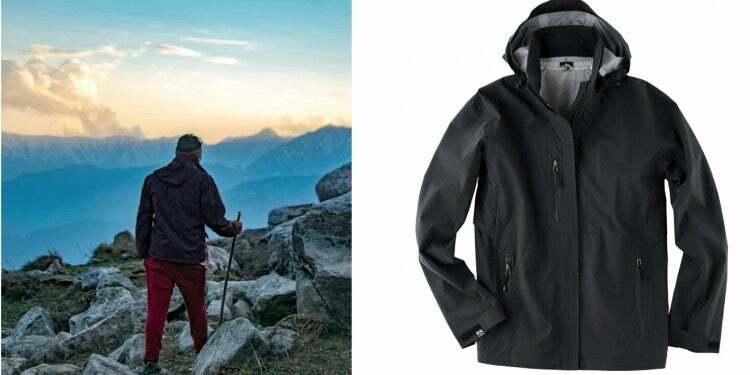 Down insulation treated with a hydrophobic coating keeps you cozy and dry on the coldest of winter nights. Don’t let your morning coffee or evening tea get cold when you’re braving winter temps. Ditch the cute-but-cold metal camping mug and use this insulated one instead. 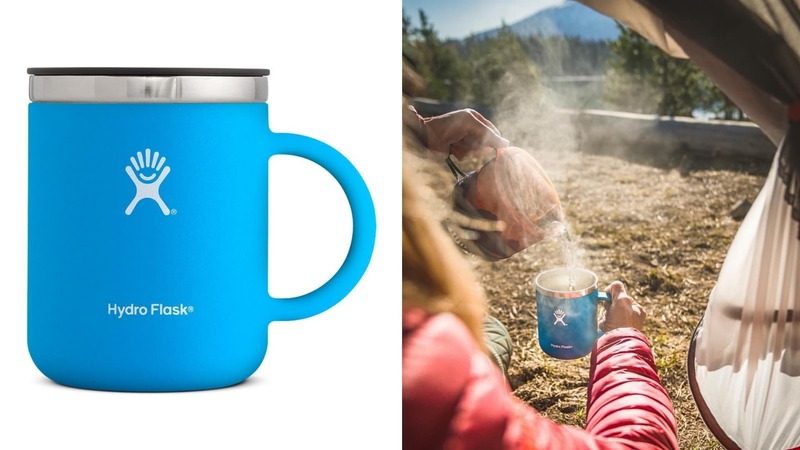 Double-wall insulation keeps your beverage of choice hot and the handy lid keeps it from spilling, so you can sip hot coffee while the winter sun rises, or sip a hot toddy around the campfire. Because what’s a winter camping trip without good hot drinks?